A Nice photos taken on Royal Parade in what now seems ages ago. 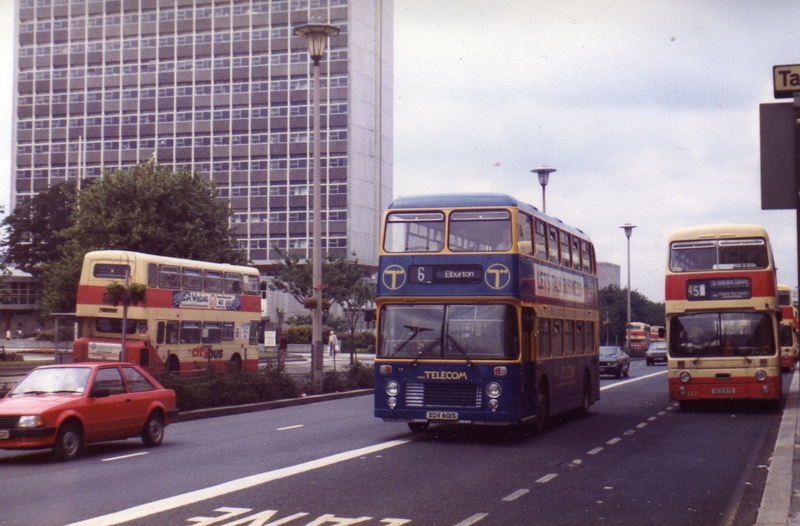 Western National VRTs and Citybus Atlanteans - just they way you remember Royal Parade used to be. The free unhindered flow of traffic at this spot is also a long distant memory. I do prefer the crossing over the old underpass, but the new pedestrian crossing does cause havoc for the buses. The advert for British Telecom is also a reminder of times past.